Lewis University is a private higher education institution located in Romeoville, Illinois. The University has 376 acres of land and houses 1,200 students on-campus. The total enrollment of undergraduate and graduate students totals nearly 6,500 students. 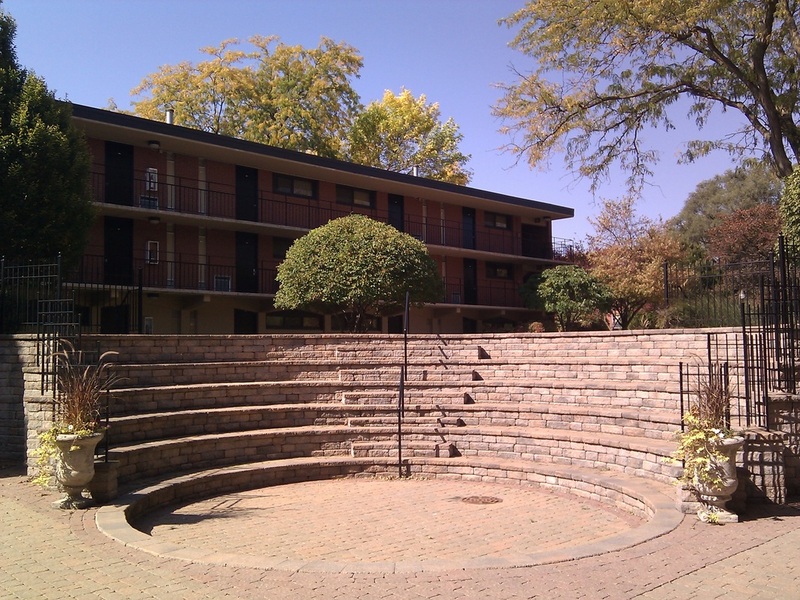 Many of the buildings and outdoor spaces are easily accessible with sidewalks throughout the campus. The Common Grounds is a complex of spaces located within the area of one of the residence halls – Fitzpatrick Hall. 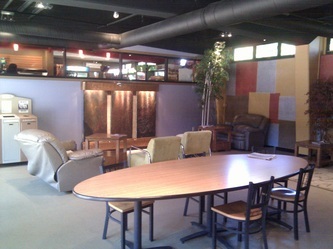 The common grounds includes a small 24-hour convenience store, washrooms, computer/printer area, lounge area with couches, work area with tables and chairs, along with an outdoor space consisting of tables and chairs along with a amphitheater-type environment, which could be used as an outdoor classroom. Seen in Image 29, this outdoor classroom is in a semi-circle shape, with the construction material mainly consisting of bricks of different shapes and sizes. There are six seating rows, with steps and a hand-rail in the middle. I would estimate each row could comfortably sit around 10 – 15 people, meaning this outdoor classroom could fit about 60 to 90 individuals. All of the seating is rounded, and so if someone sits, he or she will be looking towards the center of the circle. The stone circle where an instructor could stand is about 50 feet in diameter and provides a level, even surface to stand, sit, or move around on. Image 30 is a picture of the outdoor seating area located directly next to the outdoor classroom. It provides are area for students and faculty/staff to sit, relax, eat a meal, or work on homework. 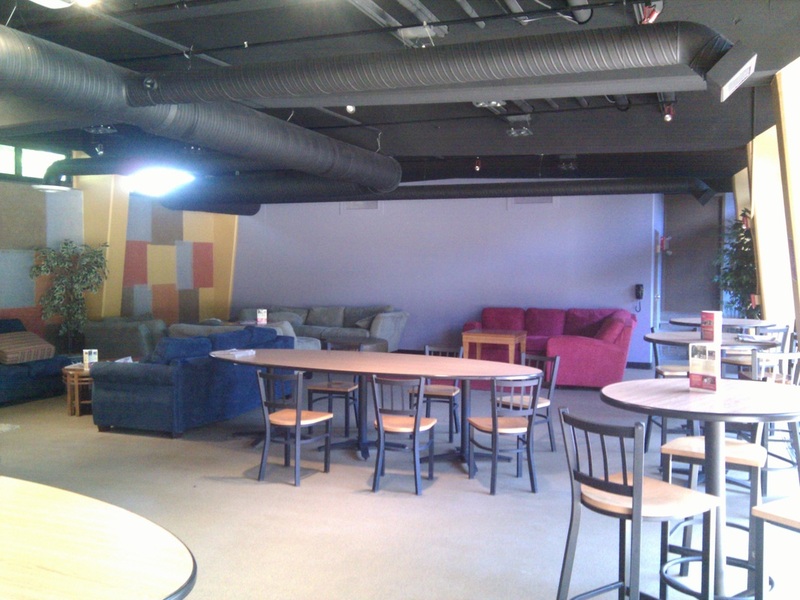 Images 31 and 32 are pictures of the inside Common Grounds complex, where you can see tables with chairs, couches, and recliners. This area provides shelter from the elements outside. This area is also located directly next to the outdoor classroom area and includes a 24-hour convenience store and washroom facilities. Something I noticed in this outdoor classroom, which concerned me, was a broken bottle along the stairs, seating, and center area. There were glass pieces spread throughout the classroom, which made me realize again the importance of proper maintenance. I visited this outdoor classroom on a Thursday afternoon, which would be a possible time that a class would use this outdoor classroom, again showing the importance of making sure the area is safe and free of broken glass. 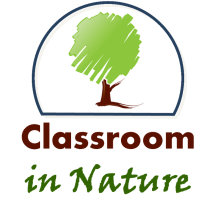 Although, the area around the outdoor classroom was beautifully landscaped with plants, trees, bushes, stones, planting pots, and other objects. 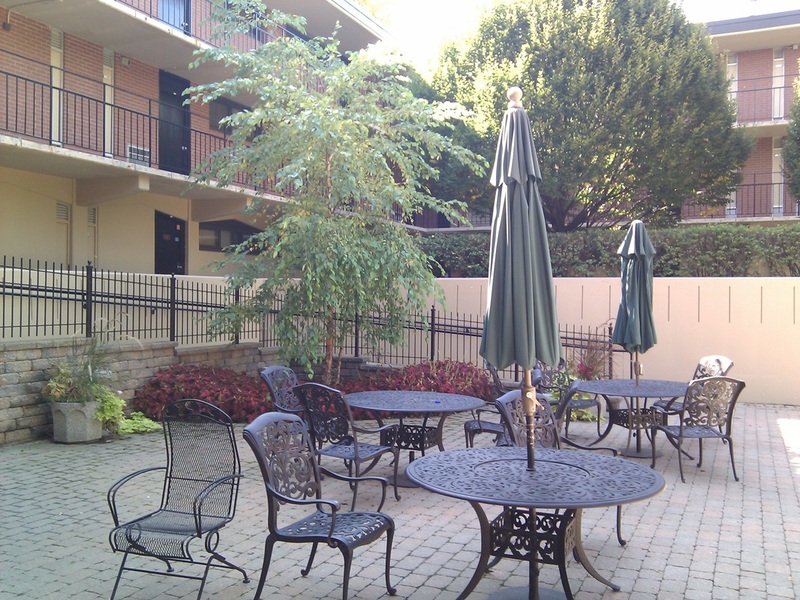 This outdoor area could easily be used as an outdoor classroom, but it could also be used in more informal settings – as a place a group or students could meet, or just a place to sit and work on homework. Also, this would be a great area to have smaller meeting area for information sessions or for clubs or other organization. This area allows participants to be outdoors and breathe fresh air while taking in the sunlight. It seems like a quiet and relaxing atmosphere, and has many different possible uses.